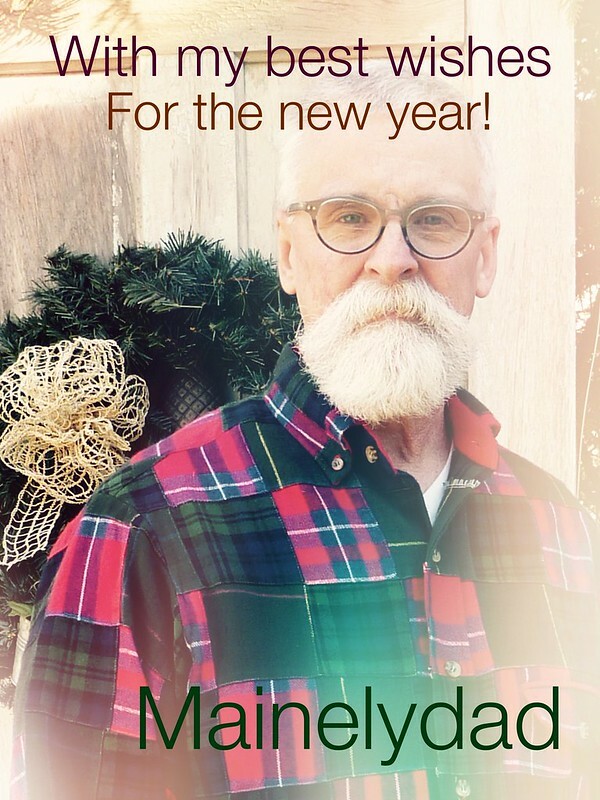 A flannel shirt to close out the year. I’m pretty much set for the staff Christmas party / potluck next week. Skip the velvet blazer, bring on the flannel! I bought the fabric this summer at Peter’s MPB day. It’s from Metro Textiles and was so inexpensive it’s almost embarrassing. 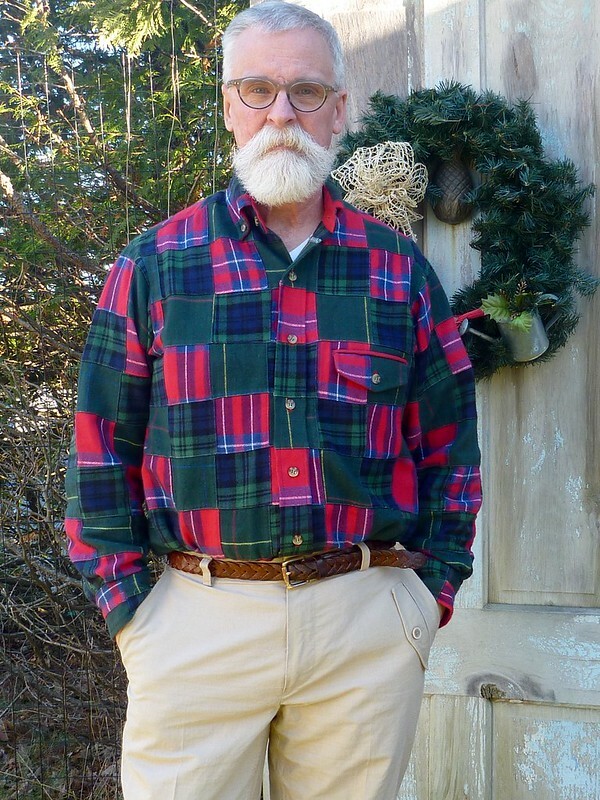 It’s much beefier than any of the flannel offered at the “LL” store a few miles from here. The pants are a hack of Thread Theory’s Jedediah Pants. 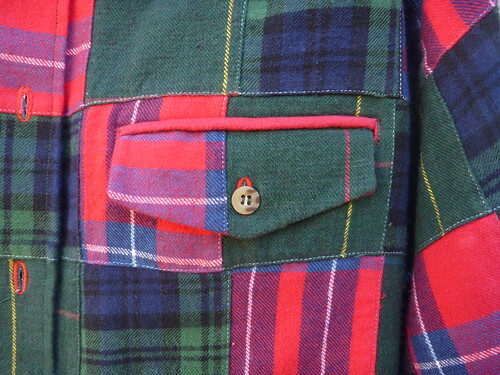 I always like a left chest pocket on my shirts but I’m not crazy about plaid patch pockets cut on the bias. Throw in the patchwork and I envisioned an even bigger mess. My solution was to make a welt pocket with a flap. The welt is made with some solid red flannel I picked up at my local JoAnn’s. I also used it for the inside collar stand, inside yoke and inside of the cuffs to help reduce bulk. All those patchwork seams can make for a very lumpy shirt. 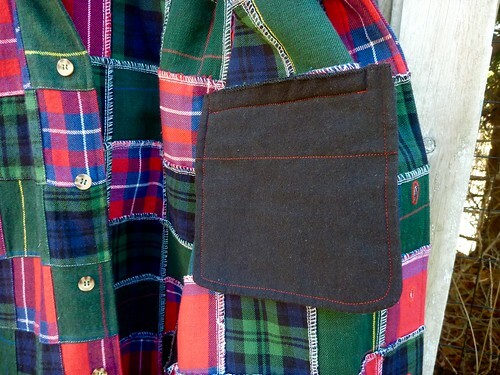 The pocket bags are black flannel from my stash. 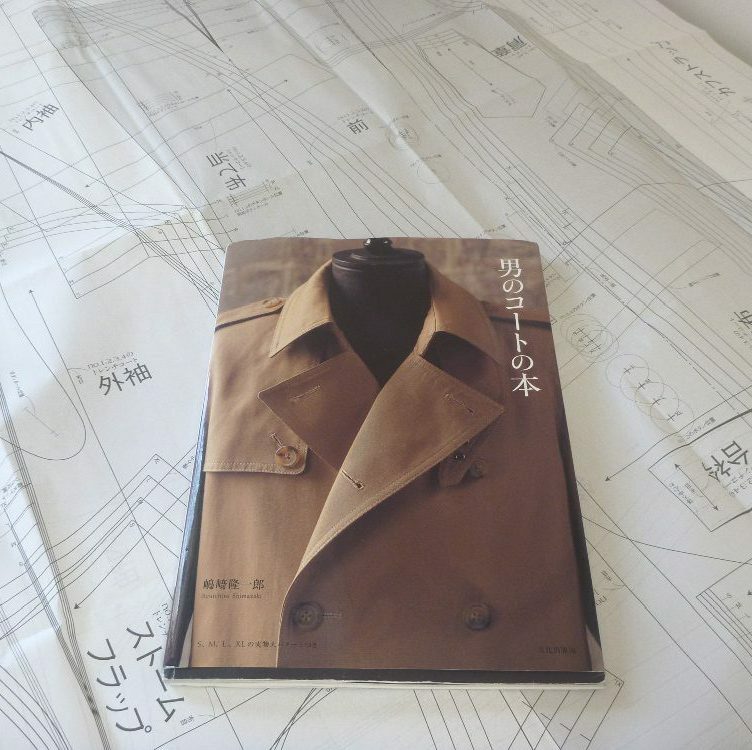 I use the instructions from Roberto Cabrera’s mens tailoring book. It’s actually a double piping pocket for the back of a pair of trousers with just a slight twist. It’s surprisingly easy to make, and results in a neat French seamed pocket. 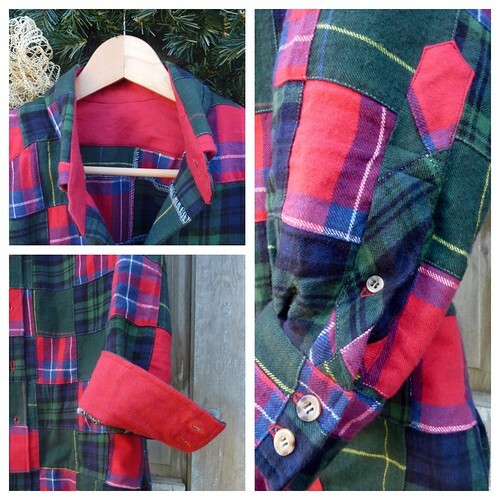 I’ve never posted a tutorial, but if there’s any interest in how to sew this type of pocket, I could be talked into it. As always, I’m greatful for all the friendship and support I’ve received through the sewing community. See you in 2016! The Halston Shacket….Already in Heavy Rotation! "Athleisure" — it’s a thing, kids. There's nothing more comfy than a flannel shirt and yours is marvelous. See you in the new year, Duane! Stunning and cozy at the same time…win-win! Wishing you a fabulous holiday season with friends and family! Totally rocking the flannel checks! Best wishes to you too. Looks wonderful! Great idea on the pocket. You are my asperational sewist. Inspirational as well. There is no reason for that fabric to work, and you have made it work wonders. I know, this fabric isn't everyone's cup of tea. But when I saw it, it was screaming my name. Comfy, casual, country, corny….the whole enchilada! Impeccably sewn! I kept staring at the chest pocket trying to discern the plaid matching when finally I realized it is a welt pocket. Brilliant! As with all your garments, you look fantastic wearing it. Wishing you the merriest of Christmases! I made a blouse out of a patchwork fabric and lumpy is a good description. I love your shirt, by the way. great shirt 🙂 I for one would love to see that pocket tutorial! Wonderful shirt. Love the colors. You as always, are very handsome silver fox. 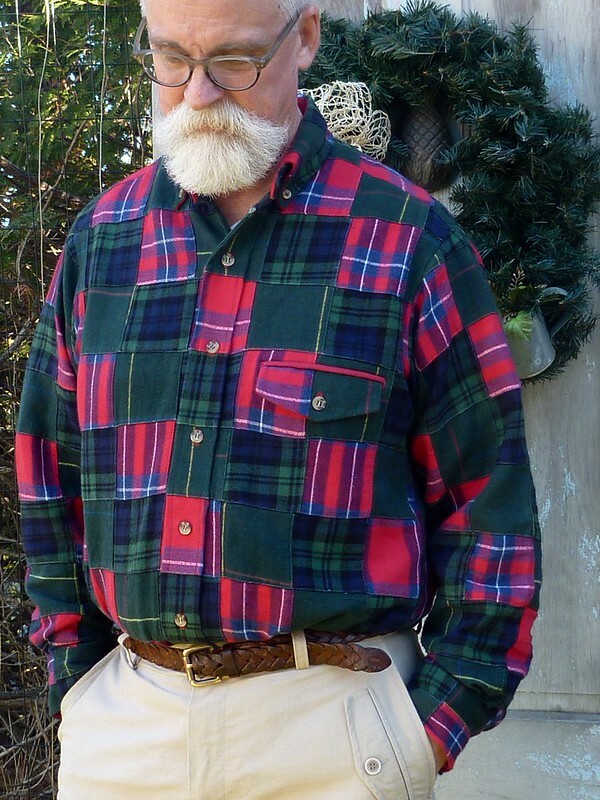 I actually find it charming when people dress in Christmas-y clothing and yours is a very fashionable version. I especially like how you integrated the patchwork of the fabric into the sleeve placket design. Beautifully done, as usual. I look forward to your 2016 blog posts. Merry Christmas and a happy new year to you! I love your blog! It's a great inspiration to see your skill level and design eye in your creations. You did a excellent job on this shirt. The front pocket design is genius. This shirt is fantastic. Love how you matched the pattern and that pocket is wonderful.